Yesterday, J and I went to the Maira Kalman exhibit that's in town. I really love the CJM, they have incredible kids' arts programming-- we saw a fantastic Maurice Sendak exhibit there last fall. 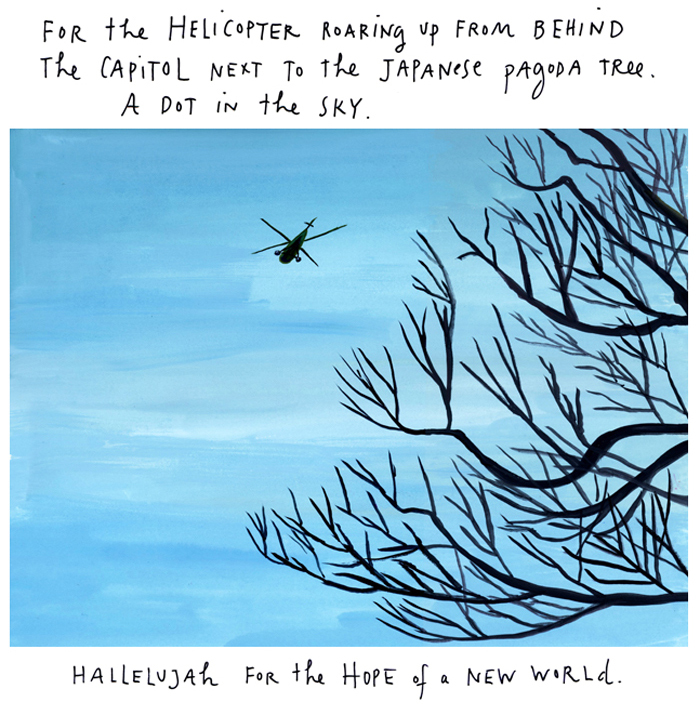 I've always enjoyed Maira Kalman's New Yorker covers, and I loved the Pursuit of Happiness blog. But I never realized what a conceptual artist she was-- really, a design thinker-- before this exhibit. A documentarian. It made me appreciate her casual yet closely observed style that much more. So inspirational. I can never underestimate is interest in and capacity for music. Also, he thinks the singer is the same woman as the "orange lady". Maybe?